The FEI that oversees international horse sport cited the IDRC’s removal of two of its members without an opportunity to be heard and its ongoing refusal to reinstate them. The IDRC filed an appeal with the FEI Tribunal last year, claiming that the FEI Statutes guaranteed that its proposed candidate should be appointed and that no other person or entity was authorized to propose candidates for the athlete representative on the FEI Dressage Committee. The FEI Tribunal issued a decision last Nov. 7 denying the IDRC’s appeal. The IDRC was formed in 1983. The current president is Kyra Kyrklund of Finland. 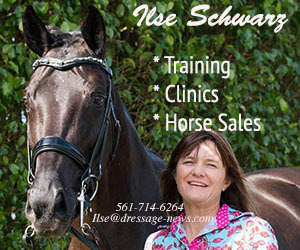 The dispute began when the IDRC nominated its secretary general, Wayne Channon, as the rider representative on the six-member FEI Dressage Committee which also includes representatives of other stakeholder groups–organizers, trainers, chefs d’equipe and judges. The FEI rejected the IDRC claim that it had the sole right to nominate a representative to the committee. The IDRC passed new statutes at its Oct. 30, 2011 General Assembly allowing the IDRC General Assembly to remove IDRC members without an opportunity to be heard. The new statutes had not been provided to members in advance nor had they been finalized at the time of the general assembly. 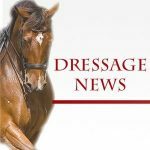 The new statutes were passed, and two members–Luis Lucio of Spain and and Maria Ines Garcia of Colombia who had been nominated by their national federations to be the athlete representative on the Dressage Committee–were removed from IDRC membership. The IDRC stated that Wayne Channon had been democratically elected by the IDRC membership to represent the club on the FEI Dressage Committee and the fact that other candidates were standing against the club’s chosen candidate was undemocratic and had to be stopped. One of the criteria for appointment of the athlete representative to an FEI Technical Committee is that the candidate must be a member of the relevant FEI-recognized international association. By removing the only two candidates standing against the IDRC chosen candidate, the IRDC stripped the other two candidates of their eligibility. The two expelled members both requested an opportunity to be heard by the IDRC but were rejected. The FEI opposed the actions of the IDRC and invited it several times to reinstate the two members. The IDRC declined to do so each time. At the 2011 FEI General Assembly the FEI Bureau postponed the appointment of the athlete representative on the Dressage Committee because of the unresolved legal issues. As a result of the IDRC’s actions, a majority of the FEI members–the national federations of Regional Groups I, II, IV, V and VI) formally requested the FEI undertake proceedings to remove the IDRC as an Associate Member of the FEI for violation of the core principles of the FEI and good governance. The Bureau has now initiated suspension proceedings against the IDRC as an FEI Associate Member. The IDRC has been invited to attend the FEI Bureau meeting in June to present its position. Following this process, the FEI Bureau will decide whether or not to suspend the IDRC’s Associate Membership for an indefinite period. “This is an unfortunate situation,” FEI Secretary General Ingmar De Vos commented. “We have offered the IDRC several opportunities to repair this, but ultimately the FEI has been left with no choice but to initiate suspension proceedings against the IDRC.